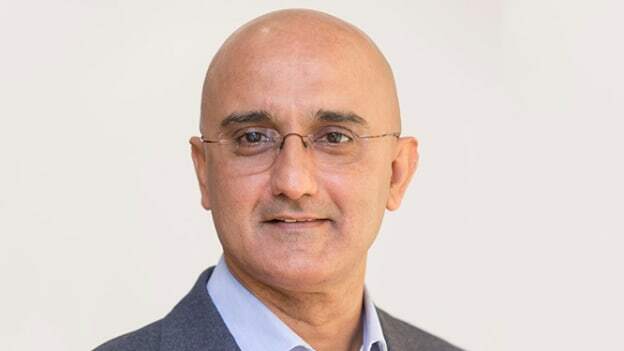 In an interaction with People Matters, the Global Head of OD and Learning, at Shell Eastern Petroleum, shares some insights on the learning and development landscape, the rise of digital, and the key focus areas for his company. The interest in classroom-based learning is on the wane and people are leaning towards digital ways of doing things, says Raman Sidhu, the Global Head of OD and learning of Shell Eastern Petroleum. Sidhu clearly sees two trends set in. One is that people like to have information at their fingertips and second is gamification of learning. In an interaction with People Matters, Sidhu shares some insights on his experience with regard to learning and development, the rise of digital, and more. Coming from a diverse professional background, what was the driving force behind choosing Learning & Development as your key role? My early career was in the consumer and commercial side of the business and I started with Sales and Marketing roles. In hindsight, this was excellent grounding in commerciality early on in my career. I started to gravitate towards Supply Chain as it was an exciting upcoming function and a holistic way to serve the customer while optimizing the value chain. Supply Chain as a way of doing business gained popularity over a period of time in India and the rest of Asia. I had the opportunity to head the Logistics function for India and then a regional Logistics role in Dubai. I learned my real Supply Chain lessons when I ran an integrated manufacturing operation as GM Supply Chain for Oman and UAE. That was the first time I first got involved as a leader in developing people which was crucial for the success of the plant. That was the time when I realized that this is something I enjoyed – developing people, building capabilities and Learning & Development in general. Shell has a progressive culture that allows people to pursue their passion and that’s how I moved into a Global Learning role for Supply Chain in 2010. You have worked in India, UAE, USA, Africa and currently in Singapore. What are the challenges that you have faced while aligning your learning strategies with the organization's business goals? I run a global organization. The biggest challenge I face is to keep L&D focused on improving business performance and building credibility with the business. If you run a learning intervention and you need to see how impactful it is for the organizational performance, how do you demonstrate the relevance of the program? This is the biggest dilemma any HR or Learning leader faces. My strategy has been to first understand business priorities & KPI’s. For the business to achieve its KPI, there are things that must happen the right way --whether in Sales and Marketing or in Supply Chain execution or in a technical function. For instance, a salesperson has to make certain sales calls every day, improving the quality of those calls is critical to achieve value selling. Hence Learning plans should target those predictors of performance that correlate high with business performance (KPIs). As long as you can demonstrate the correlations with predictors of performance, business leaders will continue to invest in your function. This is how an L4 L&OD intervention can be executed and a ROI demonstrated to your business stakeholder. Talking about your experience in India & Singapore, what difference have you seen in the trends and technologies? Is India lagging behind? If yes, then why? Singapore is a very small country as compared to India. However, Singapore is a successful regional hub and serves all parts of Asia. It attracts the best talent from Asia (China, India, Malaysia, Korea, and others) and Australia. The quality of talent is excellent and gets a boost from multiculturalism and of course, the country runs on deep values and principle that facilitates it easy to work out of Singapore. Women feel secure working here and that adds to the richness and attractiveness of the place. We need to do more to make is safe for women in India. Infrastructure, in terms of telecom services, public transport has improved a lot but is not world class as yet. India has one of the brightest talents on the planet but we need to nurture and help them develop a worldview. From the technology perspective and an IQ perspective, India is way ahead of many in the world. Singapore has been successful, as communal cooperation and commitments is a norm here. There are many learning and development solutions that you must be aware of or have initiated in Shell. Tell us that one practice that you abide by and one practice that you really want to introduce in Shell? In the last two years, there is less interest in a classroom-based learning intervention and people are leaning towards digital ways of doing things. I clearly see two trends. One is that people would like to receive most of the information on their smartphone. The second is to gamify and introduce business scenario-based learning programs. When we talk about the future of work, how do you foresee the upcoming trends in learning and organizational development? We have deployed this thinking in Shell. It is important for teams and individuals to be competent. However, what is more important is the capability of the team which will helps the organization as a whole to stay competitive. Overall, building capabilities at all three levels will make a huge impact on business performance. What are the key focus areas for the year 2018-19? Organizational design and development is critical to deliver business results. Agility in decision making will play a key role moving forward. Crowdsourcing, freelancing could take over the traditional work design principles. Our focus in the next few years is to digitally enable the organization and make it agile to grow exponentially.